Did it come with a 22 magnum cylinder? Hold Still Varmint; while I plugs Yer! 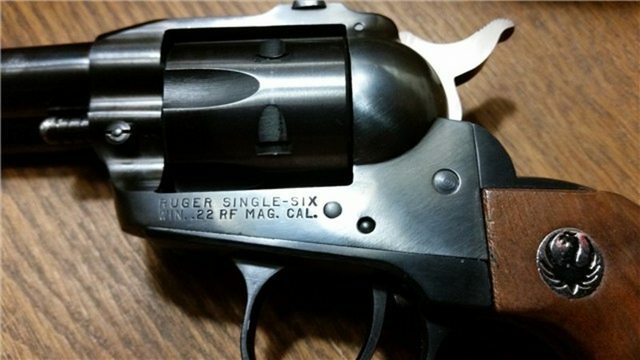 The Super Single Six is dual cylinder .22LR/.22 Mag as far as I know. Now you need a “2 dogs” front sight. Understand, purchased this one in 1973 if memory serves. Purchased my first gun the day i turned 21, Ruger single six, used at a pawn shop. Now am 68 and still have it. In fact my wife claims it as hers, she loves that pistol. She killed many an armadillo, opossum,and various types of snakes with it. Haven’t shot many 22 mags tho mostly long rifles. 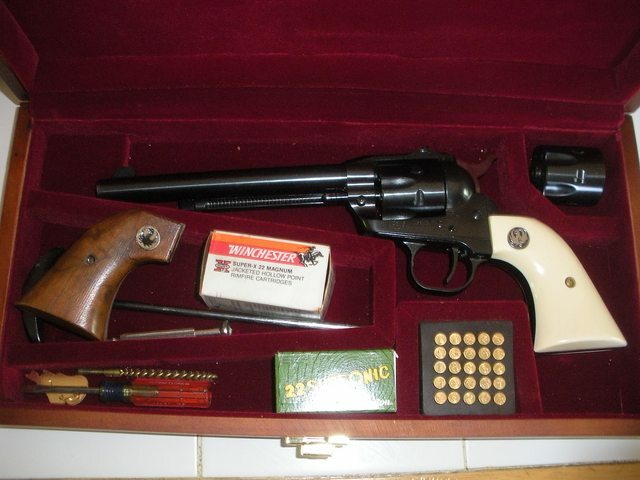 Even had a scope on it at one time back in the 80s. I have my grandfather's 3 screw Single Six, he purchased it new in 1964. I take it with me on many of my outdoor excursions, and shoot it often. My current Single-Six is a .22WMR-only RSSM form 1960. Ruger added/fitted a LR cylinder for me, since my SS was made before Ruger made LR/WMR convertibles.